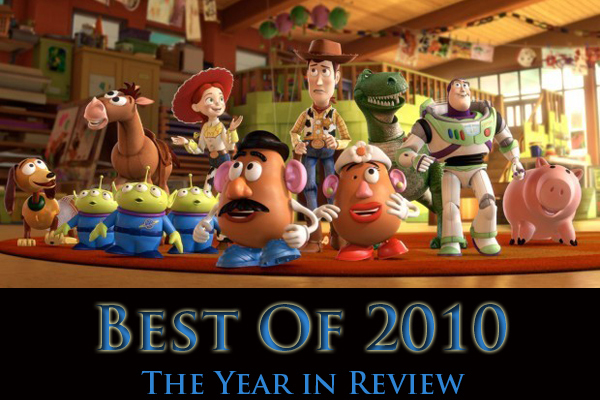 I’ve already shared with you the top genre films and my top 10 films of 2010, so now it’s time to take a close look at the year 2010 as it was for movies. Most movie-lovers, myself included, look back in disappointment at this year. The first-half slate of new movies was excruciatingly weak and the summer completely devoid of quality blockbusters (minus “Inception”). Only since the fall have some quality dramas crept into the picture to make for what will be an interesting awards season. But however lackluster, I will assert that 2010 has been an important year for movies, just not necessarily on screen. It was a time of evaluation for most major studios and making big decisions about moving forward. Below, I’ll give you a few major defining points of the year such as how the most important film of 2010 didn’t even come out in 2010 and also which genre proved itself heads and tails ahead of the rest of the industry. Let’s get started! 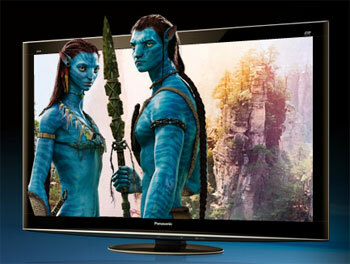 I’ll get more into 3D a little further down, but “Avatar” created a perceived demand for high definition and better quality home entertainment across the board. This was the first year I considered buying a Blu-ray player. I’d be super curious to see how Blu-ray faired this holiday shopping season as well. When we look back at “Avatar” in a few years, we will see it as probably more of a 3-D anomaly, but it convinced just about every studio to start filming new projects in 3D or convert existing soon-to-be-released films into the format and to disastrous results. Nevertheless, “Avatar” making film’s biggest fortune off a medium that had otherwise just tested the waters in 2009 created an immediate and seismic ripple effect through the industry. Slightly more understated in impact is how “Avatar” in tandem with “District 9” brought alien movies to producers’ attention once again. After “Independence Day” caused a slew of alien flicks to be released in the late ’90s, the sub-genre stayed fairly quiet until those two movies. Although we didn’t feel that effect this year as much with “Skyline” and “Predators,” next year brings us “I Am Number Four,” “Battle: Los Angeles,” “Mars Needs Moms,” “Paul,” “The Green Lantern,” and “Cowboys & Aliens” — all different takes involving alien life. That’s not to mention films such as the third “Men in Black” film were announced this year and even the upcoming “Battleship” movie contains an alien attack. Really, it’s incredible what a billion-dollar movie can do to shake up an establishment like Hollywood. In any normal year for big blockbusters, “Inception” would’ve still stood out, but unfortunately its the lone giant among peons. Summer 2010 would’ve been described as maybe the worst summer for movies of all time. As great as “Toy Story 3” was, alone it wouldn’t be able to carry the dead weight of the rest of the summer. Other than the first part of the final “Harry Potter” saga, the rest of 2010 was also lame. “Inception” could’ve just saved it by being immensely entertaining, but it also managed to be whip-smart and incredibly imaginative. At the time I figured the success of the Christopher Nolan’s brainchild could send a strong message to Hollywood, but I realize now that there’s no way it could create a jarring shift. Open the door for some more intelligent eye candy? Sure, but studios would rather hedge their bets on films based on previous material. “Inception” did have the reputation of “The Dark Knight” to stand on. But even back down to earth, “Inception” was a terrific movie that killed most of the pain that was 2010 and its a shame it didn’t have the chance to prove its greatness among other good films. Last year, I asserted three major things in my 2009 Year in Review: science-fiction had its best year in the last decade, the ’60s were “in” and no genre was better than animation. This year, while not as prolific, the quality of the films remained mostly the same. This prompts me to conclude that the animation sect of Hollywood is heads and tails further ahead in making great modern films than the rest of the industry. Starting with DreamWorks surprise hit “How to Train Your Dragon,” which made strong use of 3D, the genre was off to another incredible start. In May, “Shrek Forever After,” though significantly worse, made even more money as the green ogre took his final bows. Animation stole the headlines of the summer (minus the “Inception” exception) starting with “Toy Story 3.” The final installment of that beloved animated series, even 10 years later, earned $415 million in the United States, became the 7th film to break a billion worldwide and now ranks 5th all time. It earned 99% on Rotten Tomatoes. Can you blame Disney for pushing it for Best Picture? If this film doesn’t win it, no animated movie will. Then again, if the genre continues at this pace, I’ll be speaking too soon. 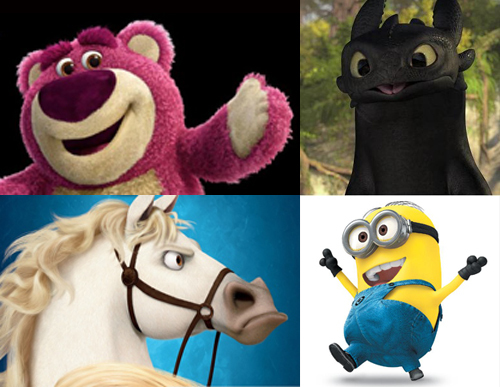 “Despicable Me,” the first for its animation studio, became another surprise hit this summer, beating out the totals for “Dragon” and “Shrek.” Recent films “Megamind” and “Tangled” both sit in the top 20 of the year and the latter will come close to finishing top 10. Four of the top 10 grossing films this year were animated. Only “Legends of the Guardians: The Owls of Ga’Hoole” and “Alpha and Omega,” both early fall entries, flopped this year. No, it wasn’t quite 2009 in terms of quantity (only three films will be nominated for the Oscar this year because there aren’t enough entries), but no genre faired better with critics. One way to look at it is that visual prowess has become a bigger component in audiences’ enjoyment of films and animated movies can design their worlds to a T being as abstract or lifelike as they choose. Either way, live-action movies could learn a thing or two. The explosion of 3D in 2010 might well define the decade. As I mentioned above, “Avatar” catapulted 3D into the mainstream, which turned it into the biggest movie-related topic of the year and its big moving forward, so I’ll end with it. It wasn’t necessarily all “Avatar” that made 3D go boom this year. After a quiet start to 2010 except for a big Valentine’s Day weekend and the buzz for “Shutter Island,” the box office ignited with the first major 3-D film post-“Avatar” in “Alice in Wonderland.” Tim Burton’s take on the story Disney had previously made famous earned $116 million its opening weekend. But it opened another can of worms as it was converted to 3D in post-production. 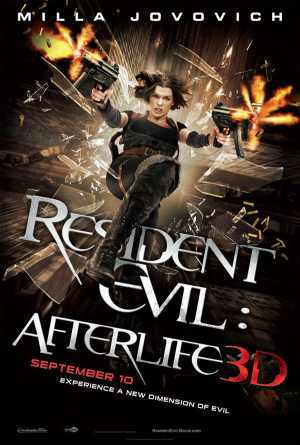 Although it took a few months for the public to become aware of the difference in filming a movie in 3D as opposed to converting it in post-production, that would catch on a month later. 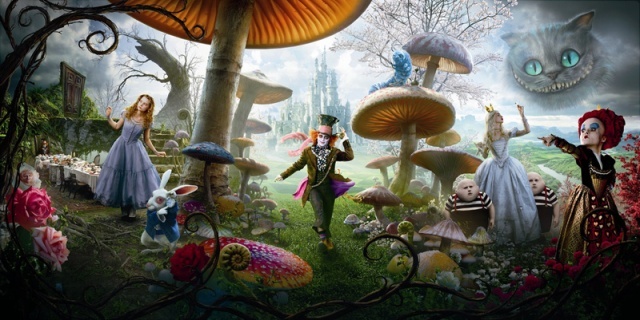 Nevertheless, “Alice” would rank as the second most profitable film in 2010 behind “Toy Story 3,” both of which made Disney the indisputable champion of the box office this year among the studios. “Alice” also became the sixth film in history to make over a billion dollars worldwide and ranks 20th all time in the U.S. box office. How much “Avatar” helped the movie by being in 3D remains unknown, but I suspect it was signifiant. “Alice” was also a very mediocre film, which I imagined made some people wonder why they spent nearly $20 a ticket to see it in IMAX 3D. When the summer opened with “Iron Man 2,” audiences were given a reprieve from the technology. “Toy Story 3” was the next film to reap the benefits and most animated films including “Despicable Me” in July and “Megamind” and “Tangled” in November. Yet all of those films (including “Dragon” back in March) received no lower than a 72% on Rotten Tomatoes. One major film to use 3D as a gimmick was “Jackass 3-D,” which had the biggest fall opening in movie history with $50 million, lending more to the “pro” argument. This past month, Hollywood got a more accurate taste of whether all blockbusters would rake in cash by virtue of 3D. “The Chronicles of Narnia: The Voyage of the Dawn Treader” performed below expectations and “Tron: Legacy,” though very cool in 3D and shot with the fusion camera technology, hasn’t done exceptionally well though it ought to finish among the top 15 this year in receipts. There’s not question the 3D war will wage onward into next year with a remarkably higher number of big-budget blockbusters releasing in 3D and this time next year we might have more of a sense of the medium’s longevity.